Over 300 years ago, Native North Americans invented lacrosse. Teams had up to 1,000 men, games were sometimes days long, and players used wooden sticks and clay balls. Today, teams are much smaller, games are much shorter, and the sport is much pricier. After all, a more modern game comes with a present-day price tag. Wondering how much lacrosse will cost? Here are some of the basics. 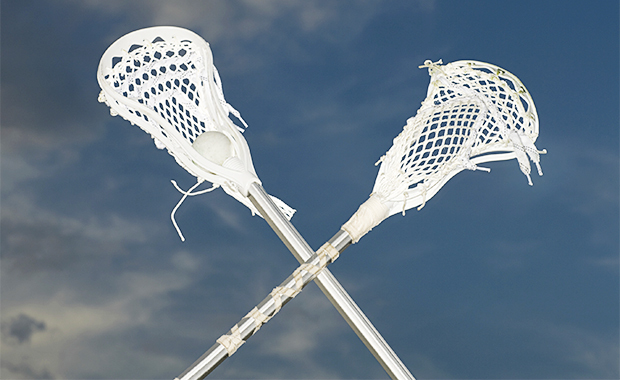 The lacrosse stick, which is also called a crosse, is easily the most important piece of equipment in a player’s arsenal. Sticks consist of two main pieces: the shaft and head. The shaft is the handle the player grasps and the head is the cradle used to catch and pass the ball. There are a variety of stick options that suit certain positions. More affordable lacrosse sticks can cost around $40. More experienced players will buy the shaft and head separately for more customization. Heads range from $35 to more than $100 and shafts begin around $60 and can cost well above $100. A good helmet is the most expensive piece of equipment a laxer will buy—and for good reason. Lacrosse is a physical game, and helmets protect the head and face of a player from body and stick checks during the game. Helmets tend to start around $120, but a higher quality one can be more than $200. Females don’t require a helmet, as current rules do not allow checking in girls lacrosse. While lacrosse gloves may look like hockey gloves, they’re a bit more flexible. A cheap pair costs between $50 and $60, but they’ll likely be stiff. Higher quality gloves cost more than $100, but come with better grip and flexibility.